A smart and hilarious look at husbands, wives, and exes, from the critically acclaimed novelist, and pundit of domesticity. Karen Karbo turns her signature wit and wisdom to the state of marriage, divorce, and remarriage in this wildly funny and often painfully accurate portrayal of a life rife with “exes”: your ex, your husband or wife’s ex, the ex of the ex, and of course, their children. 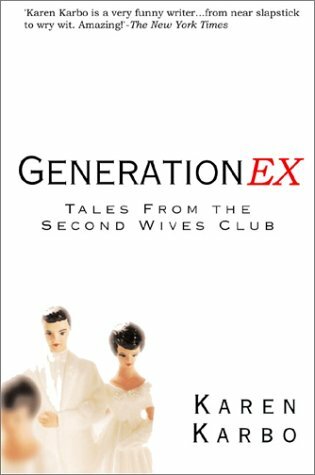 Generation Ex is written from the point of view of five women who gather periodically to share stories, blow off steam, and have a few laughs about the impossible-and stubbornly persistent-phenomenon that is the ex-relationship. These are the stories of women who have survived dating, a first marriage, and subsequent divorce. They now have everything they’ve ever wanted, but wind up with much more than they bargained for. They’re a bit older, wiser, more secure-and still manage to find themselves in the middle of rather messy situations. A welcome relief from the how-tos and woebegone accounts of divorce, Generation Ex offers comic relief and wisdom to what has become a fairly common, though still maddening, state of affairs.